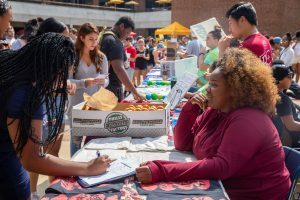 Student Government Association (SGA) hosted its annual welcome-back-to-school organization fair the second week of September on the Student Center Patio in the center of campus. 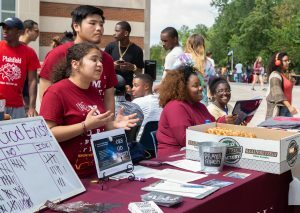 With perfect weather and tons of happy faces, it was an afternoon of excitement for students of all years and majors. 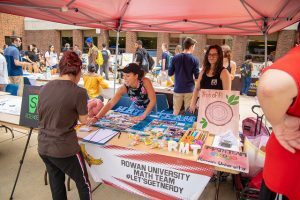 Over 40 tables represented dozens of organizations that students can get involved with on campus. 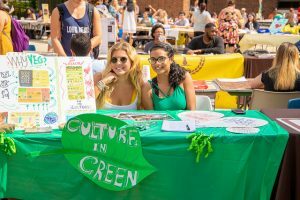 From academic societies to activity clubs to sports to Greek life, there really is something for everyone! 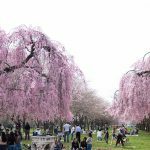 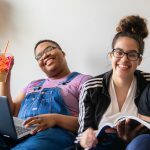 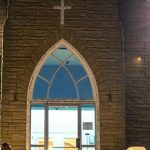 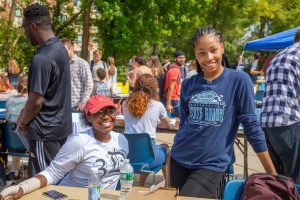 “It’s cool to see all of the different ways I can get involved outside of class,” says junior Darrah McClendon, a communications studies major from Plainsboro (Middlesex County). 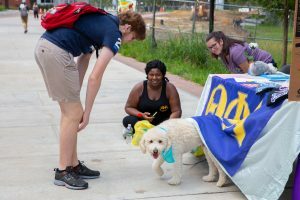 One organization brought their special mascot to the fair! 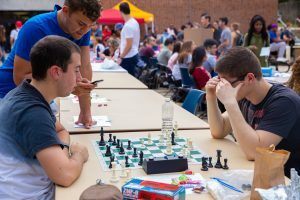 Members of the Chess Club play a game. 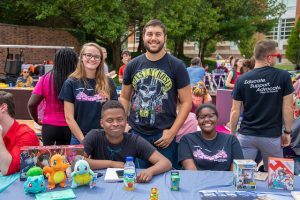 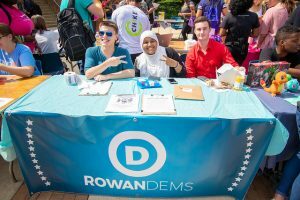 Jacob Hellick, a freshman graphic design major from Pilesgrove, Salem County, is most “looking forward to finding cool groups of people who like the same things as me,” and came to the organization fair to find just that. 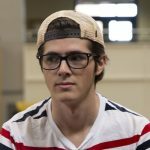 “There are so many options, I almost don’t know which clubs I should choose!” he says. 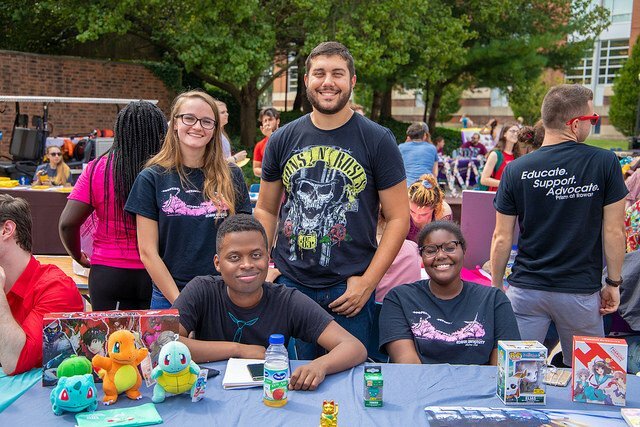 There was music, candy and excited chatter throughout the event, surely a good sign of the fun that is in store for each of the organizations on campus! 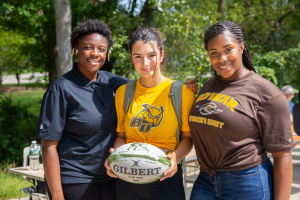 Mia Sclafani, a sophomore marketing major, poses with her Rugby teammates at the organization fair.